Comments Off on Sorry, I Can’t Help You [grow that horribly invasive plant]. Sorry, I Can’t Help You [grow that horribly invasive plant]. Kudzu is an invasive vine that was introduced from Japan to the United States in 1876. In its heyday, kudzu was planted extensively throughout the southeastern US, where it was touted for its ability to prevent soil erosion on embankments, restore soil nitrogen (it’s a legume), and provide high quality forage for livestock. 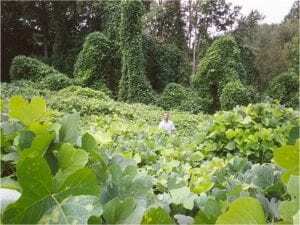 Unfortunately, like many invasive organisms introduced outside of their native range, kudzu became a pest species due to its rapid growth rate and the ability to shade out existing vegetation. 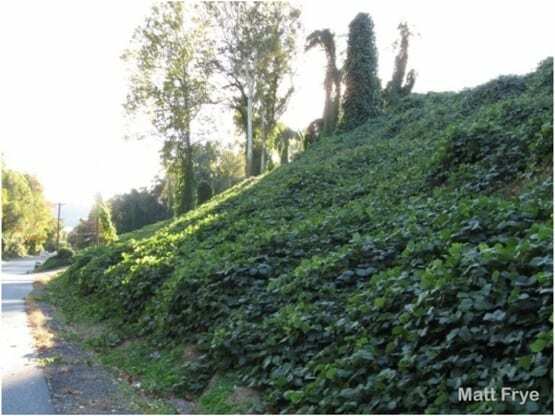 Kudzu was planted extensively on slopes for erosion control. Based on the detrimental effects of this plant and the cost of management, kudzu is listed as a noxious weed in several states. It has also been the subject of extensive research by the US Forest Service, including my graduate research at the University of Delaware, which examined the potential for biological control of kudzu using insect natural enemies. Kudzu vines grow up trees, over bushes, and create a dense cover of foliage that kills other plants. In 2014 I published a slide set describing my work and experience with kudzu: why it’s a pest, some of its ecological impacts, common misconceptions, how it was grown, and how it can be killed. Since publishing this document, I have received dozens of requests for more information about the plant. What do most people want to know? How to grow it! This has been for art installations, research on allelopathy, a test to determine if kudzu can grow in zero gravity (yes, kudzu literally will be sent to space), genetic studies and for use as wildlife forage. Can I help you to manage the plant, and offer suggestions for what to do in spaces where kudzu has been cleared? You bet! 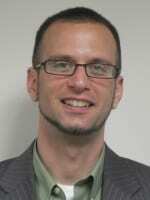 Can I help you to grow the plant for research purposes? Sure. But if your interest in growing kudzu is for non-academic purposes –I can’t help you. Sorry (not sorry). Matt provides education and conducts research on pests that occur in and around buildings where people live, work, learn and play. The focus of Matt’s program is to help people prevent issues with pests such as rodents, bed bugs, ticks, cockroaches, and indoor flies; or to provide management recommendations for existing problems.